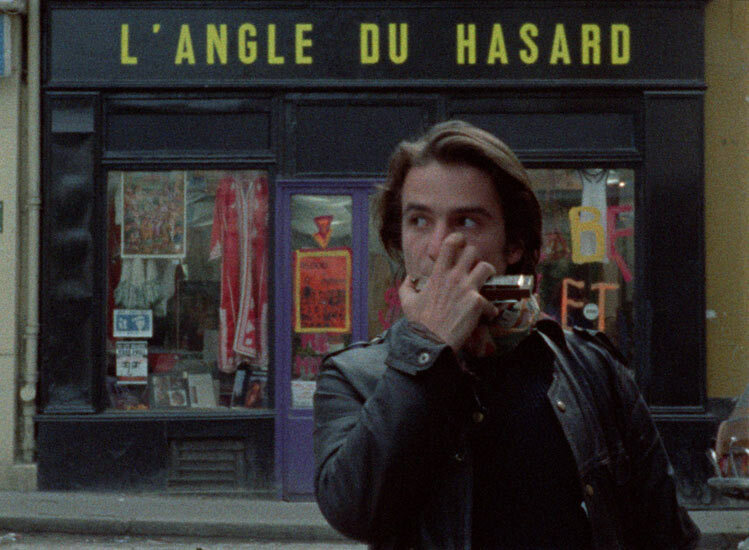 NEW YORK, NY – OCTOBER 26, 2015 – Kino Lorber and Carlotta Films US announce that the Blu-ray/DVD release of Jacques Rivette’s OUT 1, originally set to street on November 24, 2015, will now become available on January 12, 2016. The SRP is $99.95. 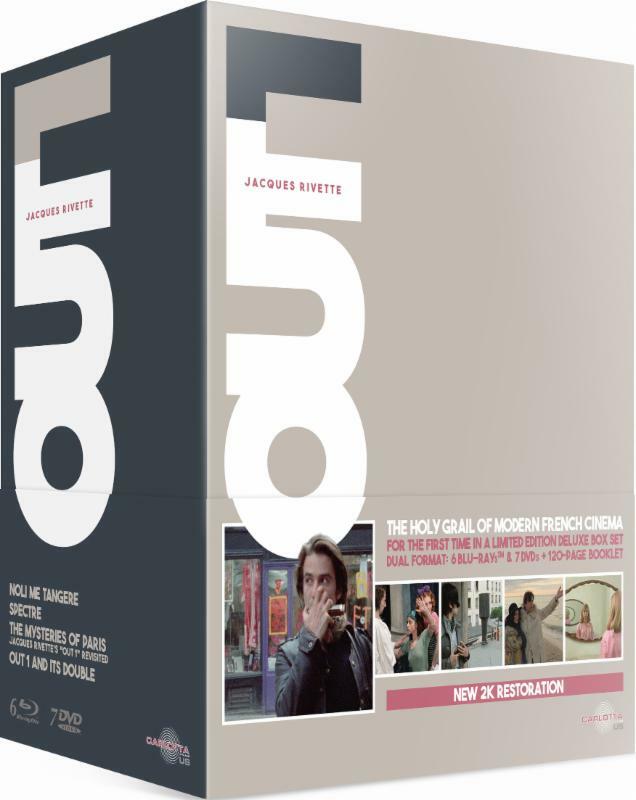 As previously announced, this release of OUT 1 is presented in a new 2k restoration supervised and approved by director of photography Pierre-William Glenn, and includes both the original 8-part series (Noli Me Tangere) alongside the shorter theatrical cut (Spectre), in a 13-disc, dual format (Blu-ray/DVD) special collector’s edition box set. Special features include a new 120-page booklet, “OUT 1 and its Double” (bilingual English/French) featuring a new essay by film scholar and Jacques Rivette specialist Jonathan Rosenbaum, illustrated by numerous archival photographs and original stills by photographer Pierre Zucca, and a new full-length documentary, The Mysteries of Paris: Jacques Rivette’s OUT 1 Revisited (2015, 105 minutes), directed by Robert Fischer and Wilfried Reichart that includes interviews with the cast and crew and revisits some of the film’s most significant locations. Forty-five years after Out 1 was made, documentary filmmakers Robert Fischer and Wilfried Reichart interviewed cast and crew members and revisited some of the film’s most significant locations. The Mysteries of Paris features new contributions from actors Bulle Ogier, Michael Lonsdale and Hermine Karagheuz, cinematographer Pierre-William Glenn, assistant director Jean-François Stévenin and producer Stéphane Tchal Gadjieff, rare archival interviews with actors Jacques Doniol-Valcroze and Michel Delahaye and, most prominently, illuminating statements by director Jacques Rivette himself. As an independent company, CARLOTTA FILMS has been promoting heritage cinema in France for 18 years: re-releasing restored classic films, cult films from the 70s & 80s, and also working specifically with young audiences. Since its creation, CARLOTTA FILMS has steadily developed and supported every technological evolution, and released or re-released heritage films, using every medium: theatrical distribution, festivals attendance, DVD and Blu-ray editions, its own VoD platform (www.carlottavod.com), VoD distribution on major platforms, and more recently also an International Sales Section specialized in Independent Heritage Film. 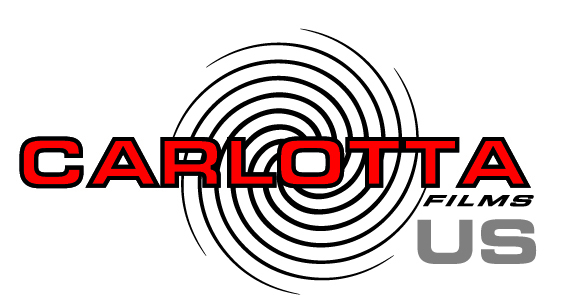 With its work on Cinema History, the discovery of new horizons and new audience, CARLOTTA FILMS has decided to create its own company in the US, CARLOTTA FILMS US, in order to develop, with the same spirit as in France, an active distribution, specialized in revivals, with releases in theaters, as well as on DVD, Blu-ray, VoD, and TV in North America. CARLOTTA FILMS US wishes to position itself in a complementary way as the already-existing independent American companies, who are doing a great job on Cinema History (both in theaters and DVD/Blu-ray). To do an important work on independent revivals and more especially, but not only, French films, especially from the ’70s, ’80s and ’90s, and to work on all media, starting with theatrical releases, festivals, then DVD/Blu-ray/VoD and TV. And to create, from one side of the Atlantic to the other, bridges — links about Cinema History between France and America, with similar, different and new audiences.